My Outside Voice: September Foodie Pen Pal Reveal! 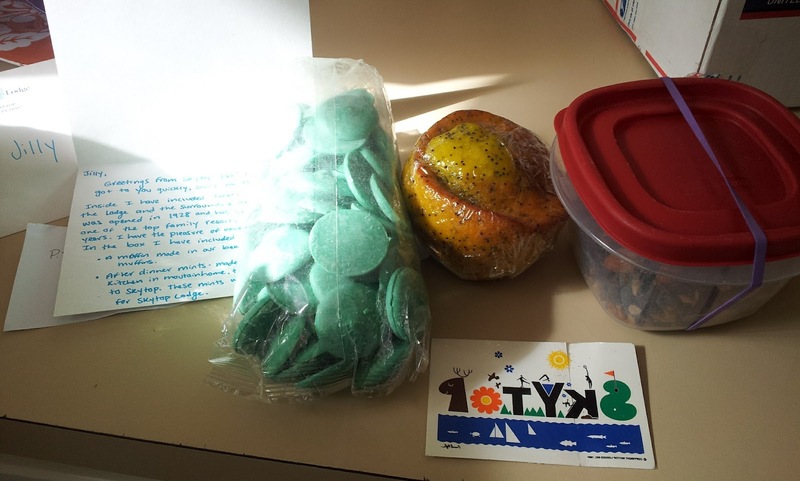 September Foodie Pen Pal Reveal! This was a fun month for Foodie Pen Pals! 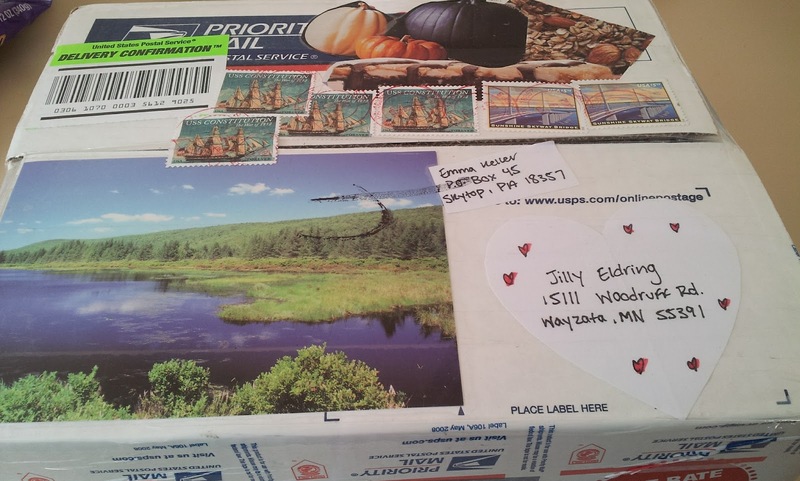 I sent Ashley in VA of Your Girl for All Seasonings a box and I received a WONDERFUL package from Emma in PA! 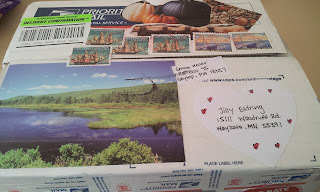 The package was decorated beautifully and I loved every bit of it. She sent a muffin from the camp/resort she works at. It was delicious, and perfect timing as I had an early drive the next morning, so I could take it with me on the road! She also sent along some delicious granola and the recipe, which I have been enjoying with my yogurt and some fresh raspberries in the morning, SO GOOD! My favorite though has to be these wonderful chocolate mints made especially for Skytop by Callie's Candy Kitchen. Oh my goodness, these are SO delectable! I have kind of been hoarding them as I can imagine putting a couple out for friends after a dinner party, they are SO delicious! These are the kinds of mints my sister absolutely love, I might have to share a couple of them with her when I see her next. Thank you so much Emma, I loved everything! 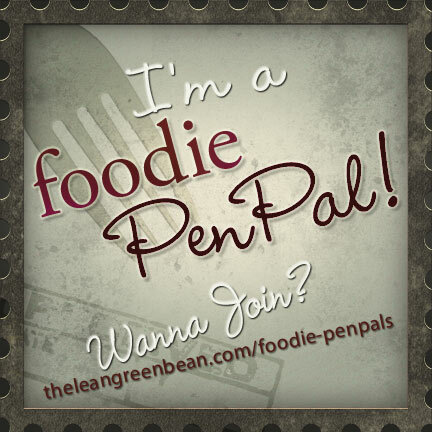 Are you interested in becoming a Foodie Pen Pal? More info below!